Probably the path to Subversion executable is wrong. Fix it.. But I still have no idea what I am supposed to do to fix this? Any kind of help/suggestion/direction to fix the problem are welcome. Android Studio cannot find the svn command because it's not on PATH, and it doesn't know where svn is installed. One way to fix is to edit the PATH environment variable: add the directory that contains svn.exe. You will need to restart Android Studio to make it re-read the PATH variable. Another way is to set the absolute path of svn.exe in the Use command client box in the settings screen that you included in your post. According to this other post, TortoiseSVN doesn't include the command line tools by default. But you can re-run the installer and enable it. That will add svn.exe to PATH, and Android Studio will correctly pick it up. This is annoying, I wish IntelliJ would handle this better than a startup nag.. Select the option to Modify. Install Command line client tools on to the local harddrive. Add C:\Program Files\TortoiseSVN\bin to your Path environment variable. First Download Subversion 1.8.13 ( 1.8 ) client Download link (https://subversion.apache.org/packages.html) at the time of this post the android studio version is less than 1.4 in my case 1.3.2 so you must avoid the issues here subversion command line client version is too old so just download the 1.8 preferably. Then unzipped in a folder. There will have one folder "bin". Copy the url of your downloaded svn.exe that is in bin folder that you have downloaded. Don't forget to give the end name like svn.exe last as per image. Restart your android studio now. 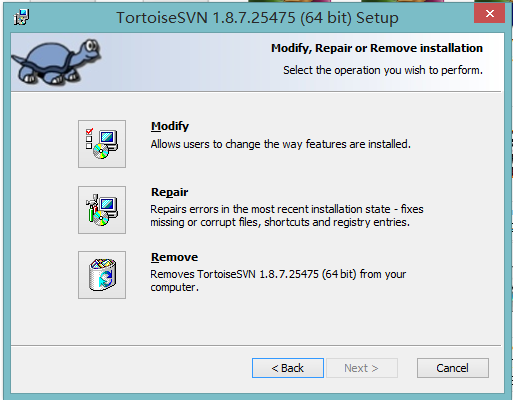 1.Run the the TortoiseSVN Installer. 2.If you have already installed svn, "Select the option to Modify". 3.select the check box "Install Command line client tools on to the local harddrive". android studio will ask for a pop like "schedule for Addition"
to subversion?. select the check box (Remember, don't ask again) and click "yes". 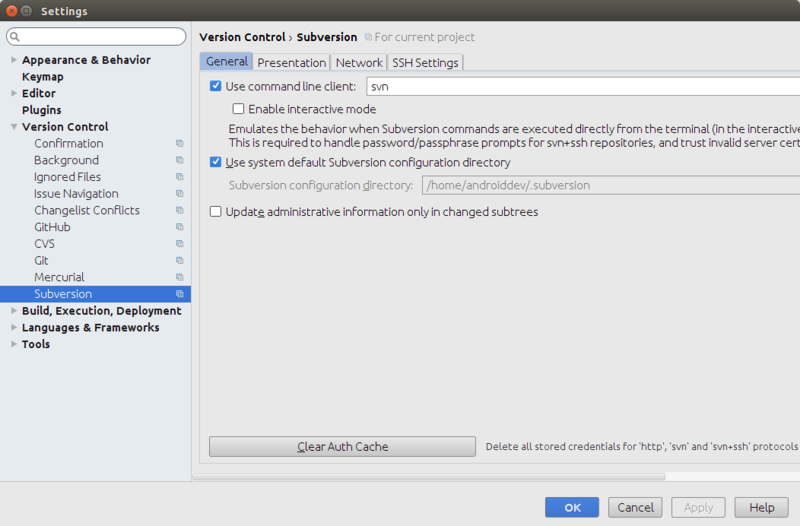 on that file -> subversion -> Add to VCS or simply select the file and use (CTRL+ALT+A). 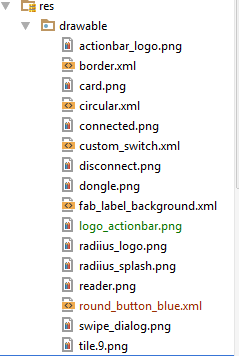 In the image green color(logo_actionbar) represents to file was already added to svn, red represents yet to add in svn. cool..! I use the IDE Phpstorm,but I think it maybe the same as AS. 1.You should reinstall the svn. And choose option modify. And next step,you can see the command line client tools. Let's choose first one: Will be installed on local hard drive. Go to the svn location，all the time it will be C:\Program Files\TortoiseSVN\bin. If you see the svn.exe in C:\Program Files\TortoiseSVN\bin,it proved that we reinstall command line client successfully. Copy C:\Program Files\TortoiseSVN\bin\svn.exe into the IDE. 3.Restart you IDE.It is ok! If you are using ubuntu, check weather subversion is installed or not. After checking out the project from SVN, instead of choosing the 1.7 version, I chose Subversion 1.6 and it worked. 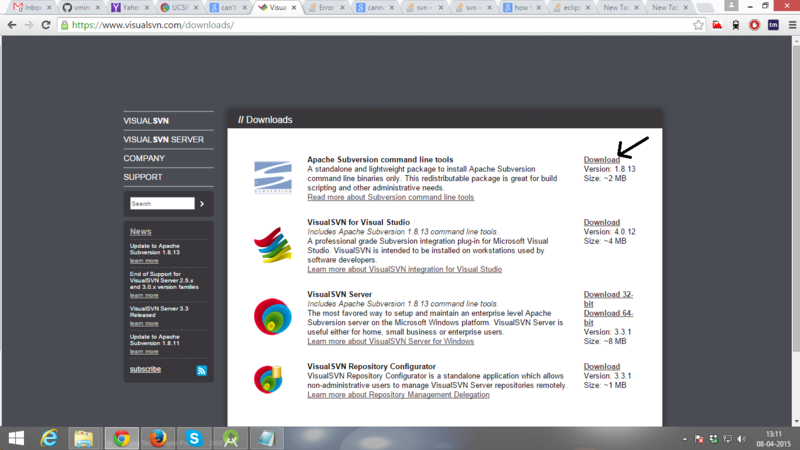 If you using windows, you can fix it via install SVN Tool. If you using Linux/MacOS, you can fix it via install subversion. After that, just select using svn command. Your problems is resolve. Under Linux, got same problem after Android Studio update (and several months without using it...). I prefer that command to rm -R .subversion since it left me a rollback option. Not the answer you're looking for? 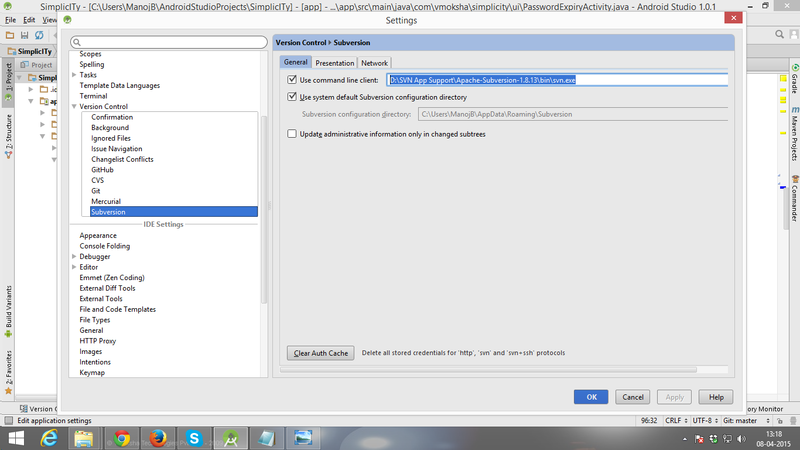 Browse other questions tagged android svn tortoisesvn android-studio or ask your own question. Where is svn.exe for TortoiseSVN? What parts of cordova cli generated projects can be safely versioned in source control? How to commit the Tortoise SVN code at very first time in Android Studio? How to checkout a specific Subversion revision from the command line?